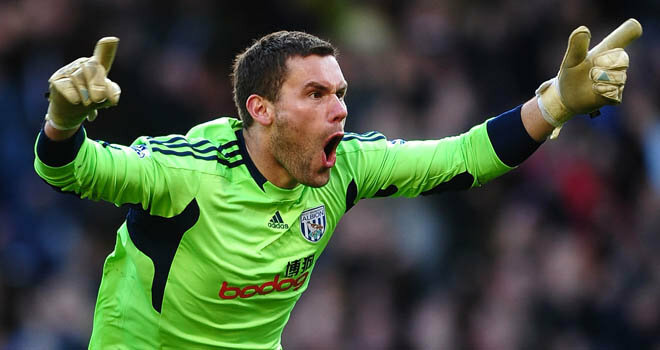 He may not come across as a new signing to many having been on loan to the Baggies last season but Ben Foster has now signed a permanent deal with West Brom and he looks set to play a huge part in West Brom’s attempts to avoid a hangover period in the wake of former manager Roy Hodgson’s departure from the club. He is very much a raw talent at present but Nathaniel Clyne has great potential. He burst onto the scene with Palace last year and I am surprised that a bigger club than Southampton weren’t tempted to have a punt on Clyne as he seems to have the strength, physique, speed and technical ability necessary to drive him on to become one the best full-backs in the country. 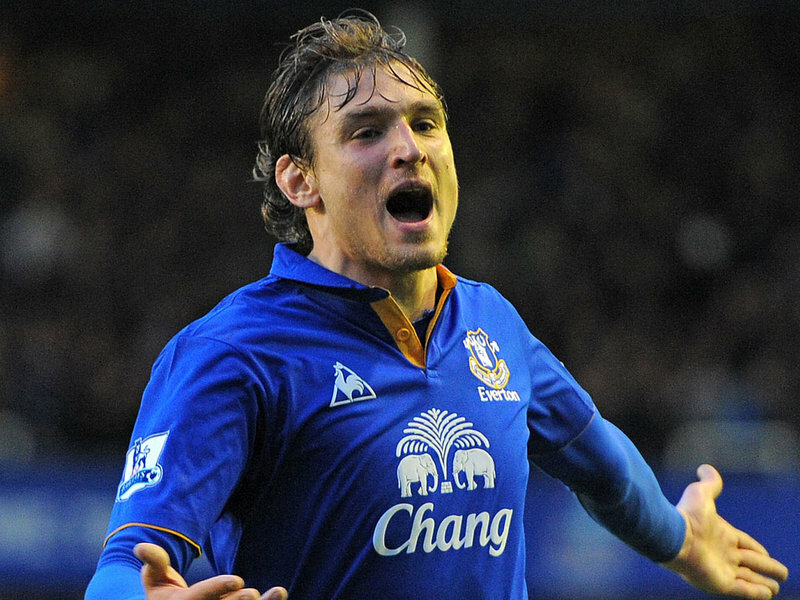 Can Jan be the perfect heir to Ledley’s throne? 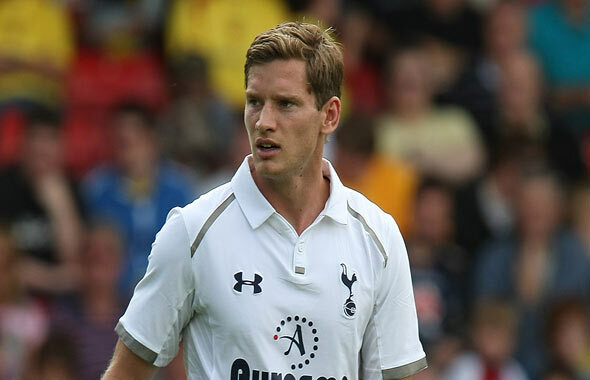 It is early days for Vertonghen as a Premier League player but there was a great amount of interest in him from some very big clubs over the summer and Andre-Vilas Boas and Tottenham did very well to secure the signature of the Belgian in what appears to be a great bit of business. £10 million isn’t a great deal to pay for a top-class centre-half in the modern game and Spurs will hope that he can quickly become a very able replacement for Ledley King who sadly had to retire over the summer as a result of years of injury woe. Swansea’s charismatic new centre-half is well known to their new manager Michael Laudrup from their time together at Mallorca and his start at the club has been a very good one. Since his £2 million arrival he has been involved in back-to-back clean-sheets and has been a major part of the Swans’ great start to the campaign as they look to continue their reputation from last season as one of the Premier League’s meanest defences. A lot of South American players have struggled to adapt to life in the Premier League but given time and sufficient guidance I think Oscar will prove himself to be a huge hit for Chelsea. I don’t necessarily think he will get a huge amount of game time in the short-term but as a long-term prospect there are few better talents plying their trade in the Premier League. He has great movement on and off the ball and has a tremendous eye for a pass as his performances in the Olympic Games demonstrated and I think he’ll shine over the next few years if Chelsea can settle him into Premier League life. He might not quite have come up with the necessary goods to land Arsenal their first win of the season in their opening two games but Cazorla already looks like he could be their best player this season as he possesses many of the qualities that they have been lacking since the departures of Cesc Fabregas and Samir Nasri last summer. It is only because Spain have been blessed with probably the greatest group of midfielders that one country has ever possessed at one time that Cazorla hasn’t become a bigger name by now but he has still managed to amass a total of 46 international caps to date as well as 7 goals for his country and I think we will see this season why he is so highly thought of back in Spain. He may only have made three Premier League appearances since moving to the Bridge but Chelsea’s new boy has already made six assists and scored a goal from the penalty spot. Having seen him struggle to assert himself in Belgium’s friendly against England before the start of Euro 2012 and then again in Chelsea’s Community Shield loss to Manchester City, many thought that in spite of his undoubted technical qualities that it might take Hazard a little while to settle into English football but he has firmly quashed any such thoughts with three outstanding displays straight off the bat in the Premier League. He looks like one hell of a player and Chelsea could be propelled back into title contention this season if his current form continues. He might not have had quite the impact of Eden Hazard at Chelsea but Kagawa who operates in a similar position to the Belgian has already looked very assured as a Premier League player in his first couple of outings and in addition to having already opened his scoring account against Fulham at the weekend he has also been right at the heart of nearly all of United’s best forward play in their opening two games. Like I say, he might not have matched Hazard’s blistering form thus far but he did cost United £20 million less than the Belgian set Chelsea back and he too looks a great attacking midfield prospect. 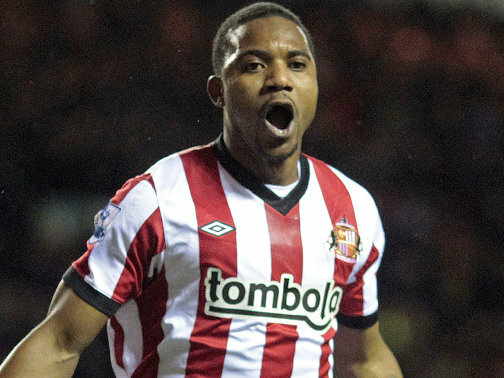 I think this signing represents a fantastic bit of business for Sunderland. Not only is Johnson immensely talented but he already has a Premier League winners medal to his name, a smattering of England caps and already a couple of international goals to boot, so at £10 million he looks an absolute bargain by today’s premium on English talent. He is versatile and can operate strongly on either flank and with his combination of speed, skill, trickery, decent two-footed delivery and an eye for goal I expect him to play a huge part in Martin O’Neill’s plans this season. If Steven Fletcher is even half as lethal in front of goal as Martin O’Neill thinks he is then he will score a hat full this season with the likes of Johnson, Stephane Sessegnon and James McClean providing him with great servie from all angles. Many have had their say on Van Persie’s summer move to Old Trafford and though some thought the £24 million transfer fee looked a little too grand for a player nearing his thirties and with only one year remaining on his contract at Arsenal but if anybody needed convincing that his acquisition was a great one for United then last weekend should have been sufficient. In a game which saw United’s talisman Wayne Rooney suffer a nasty injury which looks set to keep him out of the side for at least a month, Van Persie came up trumps netting a fine finish for his first goal for United in a narrow 3-2 win. The finish was exquisite and it was Van Persie’s very first shot in a United shirt. One shot, one goal, he is a lethal finisher and his signing puts United in great stead to challenge Manchester rivals City for the title. This comes within the the same bracket as Ben Foster’s move to West Brom in that this deal was a conversion from loan signing last season to a permanent transfer this summer and at a cost of just £5 million and with his hefty wages being subsidised by his former club this deal looks like a cracking bit of work by Daniel Levy. Adebayor is a proven scorer and assist-maker over several years at Premier League and Champions League level and if he can re-create anything like his contribution to Spurs’ cause last season then AVB will be delighted that they now have him as a more permanent fixture on their books. Cesar Azpilcueta: Chelsea’s punt on the young Spanish full-back looks like a good one as he has impressed in the French Ligue 1 and also with the Spanish youth side. Joe Allen: £15 million seemed an inflated fee at the time and in spite of an MOTM performance against City it does still look a little hefty but Rodgers knew full-well what he was getting when he signed Allen and he has the potential to grow into one of Europe’s best possession-players. 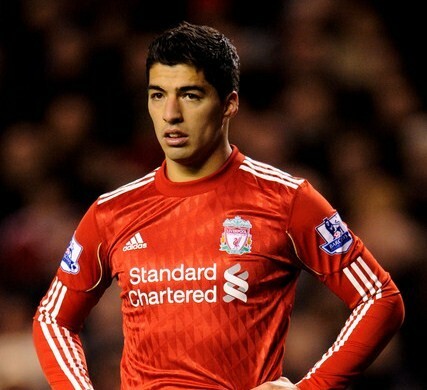 He could be the long overdue replacement for Xabi Alonso in Liverpool’s engine room. Michu: Three goals in his first two Premier League starts means he has as good as repaid his £2 million fee already. The midfielder-come-striker looks well designed for the rigours and physicality of the Premier League and has shown that he is a quality finisher. Moussa Dembele: The ex-Fulham man endured an injury blighted first few months in English football but since finding his feet he has grown ever stronger. He has gradually become accustomed to a deeper role in Fulham’s side having originally been signed as a front-man and the now midfielder has looked every bit worth his suspected £15 million transfer fee throughout the past year. Matt Jarvis: Though I think his transfer fee is a little high for a man only about seventh or eighth in England’s pecking order of wide-men and for a man coming from a Championship side, Jarvis has demonstrated over the past couple of seasons just how decent a Premier League player he is. Last season he stood out from the crowd on Wolves’ sinking ship and he more than deserved his immediate return to the big-time, I’m sure he’ll be a big asset to West Ham. Kevin Mirallas: He may only have been making his debut against lower-league opposition but he bagged his first two Everton goals with no time wasted at all and he looks an exciting prospect. 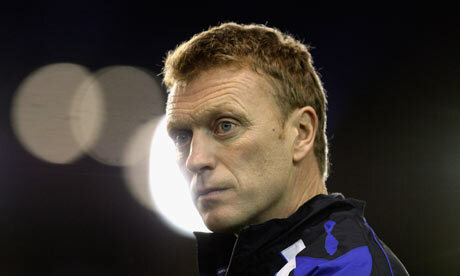 I think Moyes might have pulled yet another managerial masterstroke with this lad. 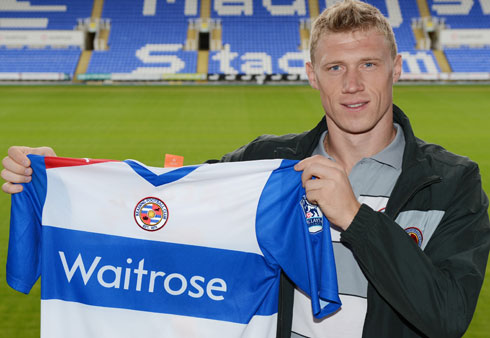 Pavel Pogrebnyak: He is far from a glamour-signing in terms of his style of play but he is such a huge presence on the field and he has genuine goal-scoring ability at the highest levels of football. I think his signing was a major coup for Reading given the interest in him from all around Europe and I think his contributions could be the difference between Reading staying up and going down. In the wake of Didier Drogba’s announcement that he is to leave Chelsea this summer I have pondered about just where the Ivorian ranks amongst the Premier League’s best ever front-men. In eight years as a Chelsea player, Drogba’s record matches up with most and he is leaving Stamford Bridge having accumulated an impressive haul of 10 major trophies, the most hard-earned and most significant of the lot of course being last Saturday’s Champions League win. From the moment he signed for a seemingly over-inflated fee of £24 million to the moment he slotted the decisive penalty in the Champions League final and momentarily appeared to be worth that money a hundred times over, Drogba has been a captivating footballer to watch and I would almost certainly rank him as the best signing of the Roman Abramovic era. 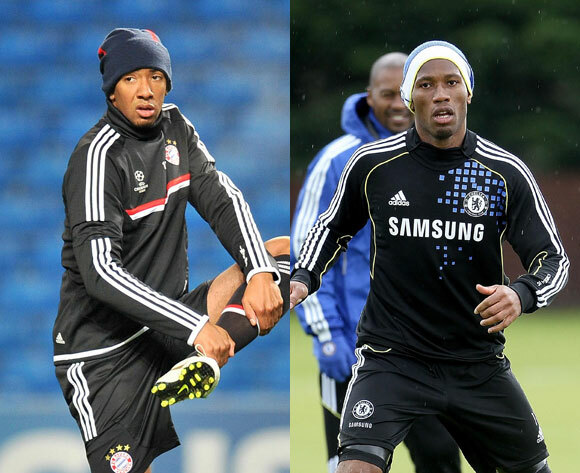 To be labelled such a success is hugely complimentary given the enormous sums of money that Abramovic has poured into transfers and the following players provide just a small sample of the high profile and high valued signings which I would rank him above in a list of Roman’s greatest captures at Chelsea:Arjen Robben, Petr Cech, Ashley Cole, Fernando Torres, Michael Essien, Florent Malouda, Nicholas Anelka… the list could go on…. Indeed, there are few more flattering things that you could say about Drogba’s time in England than to label him “the best Abramovic-era signing” and perhaps the only greater context in which he could be placed as a Premier League footballer would be to rank him amongst the finest front-men ever to grace our top flight. 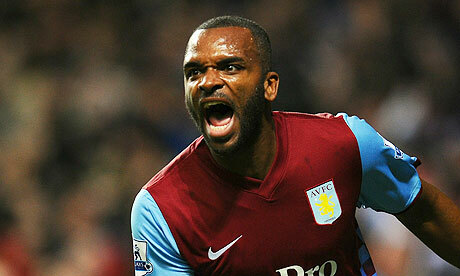 I am in no doubt as to whether or not he deserves to leave behind him such a lofty legacy from his time in England. He has been phenomenal for Chelsea and though I have not always been particularly fond of him I do and always have rated him very highly indeed. 1. Thierry Henry: The classy Frenchman combined raw pace with great technical ability and lethal finishing. 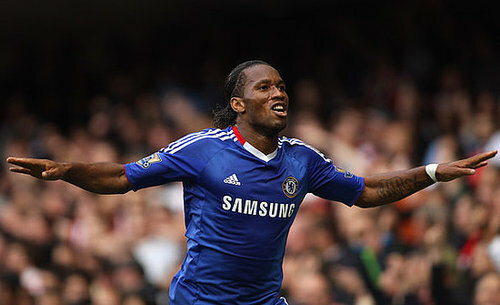 Didier Drogba: Drogba has proved himself a master in the art of playing as a lone striker. 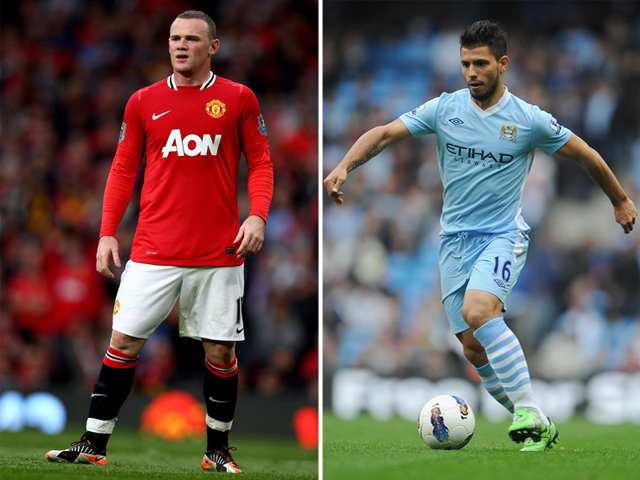 Wayne Rooney: Rooney is arguably the most technically gifted centre-forward ever in the PL. Alan Shearer: Goals by the bucket load and an inspiring and down-to-earth demeanour. Eric Cantona: Goals, creation, skill, arrogance beyond compare and an overwhelming presence. Ruud Van Nistelrooy: Probably the best goal-poacher the PL has ever seen. Denis Bergkamp: Rooney’s rival in the technical ability department, oozed class. Fernando Torres: Prolific for Liverpool, not so far Chelsea thus far but could still be. Andy Cole: Great movement, great finisher. Shame he couldn’t re-produce it at international level. 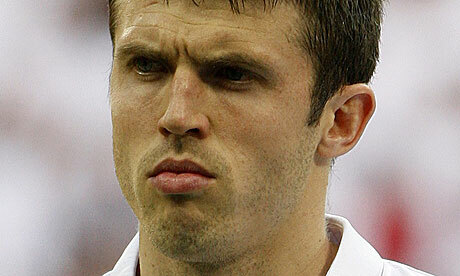 Michael Owen: If it weren’t for a string of long-term injury problems then he would have broken records. For me Drogba is definitely one of the top five strikers to have played Premier League football and his contributions for Chelsea have been unrivalled throughout his time at the club. He may not have endeared himself to all Premier League fans given his penchant for a manic outburst at officials and for an over-dramatic collapse to the deck but few can question the enormity of his contributions to Chelsea and to the Premier League as a whole. It was entirely fitting that Drogba not only scored the decisive spot-kick in the Penalty Shoot-out triumph against Bayern but also the thumping header deep into the ninety pre-planned minutes of play, and though he hasn’t always been my cup of tea I was thrilled to see him contribute more than any other in Chelsea’s success. I would argue that even at the age of 34 that there is still no better player in world football at playing as a lone striker than Drogba and though I never thought I would say this… I will miss you Didier. In the grand scheme of things this game means very little as Chelsea are resigned to relying on a Champions League final win to secure Champions League qualification and Blackburn are already relegated after their loss to Wigan in the week. 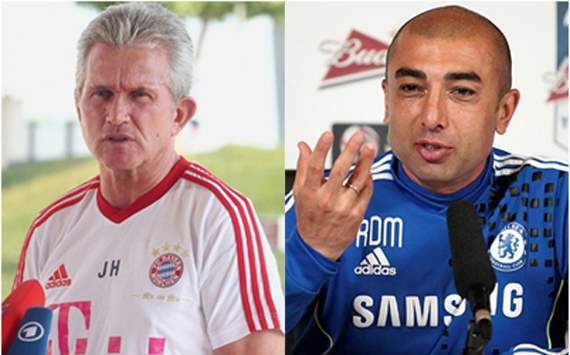 The game will however provide both managers with a chance to prove why they deserve to keep their jobs. Di Matteo has done a fantastic job with Chelsea since he took over but the success he has delivered to the Blues in the Champions League and the FA Cup hasn’t quite been replicated in the league. His opposite number, Steve Kean, would be well advised to wear a tin hat as he sits in the dug out at the weekend as his own fans are sure to give him yet another rollocking off the back of their slump to certain relegation. I think Di Matteo will sign off in style at the Bridge and hopefully in doing so might convince Abramovic that he is right for the job. Newcastle’s loss to City last weekend has probably ruled them out of grabbing a Champions League spot but that should do nothing to dampen the praise that Alan Pardew and his men have been rightfully receiving for their efforts this campaign. I think that they will struggle to break down David Moyes’ Everton who could live to regret not defeating the likes of already relegated Wolves as they may just miss out on finishing higher than bitter rivals Liverpool. I think this will be a really close game and I wouldn’t be surprised if star January signings Nikica Jelavic and Papiss Demba Cisse score a goal apiece in a score-draw. Surely the pick of the games on the final Sunday of the season! City must win to secure the title (bar a cricket score at the Stadium of Light where United take on Sunderland) and QPR must draw to guarantee survival (bar another cricket score at the Britannia where Bolton travel to Stoke). I think City will come out all guns blazing, for want of a better cliche, and will create plenty of chances but I wouldn’t be surprised if the nerves get to them a little on the day and they miss a few gilt-edged chances en-route to a victory by perhaps a smaller margin than should be the case. 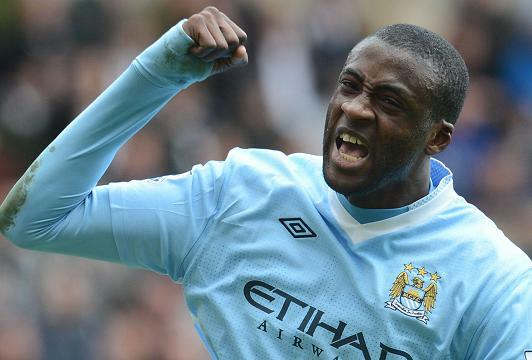 I think QPR must try and score because I can’t see them shutting out City at the Etihad. If they can produce a similarly uncompromising and forward thinking performance as they managed earlier this season at home to the champions-elect then maybe, just maybe, they can make this one of the most memorable final days of all time. I reckon City will go a couple ahead within the first hour but that QPR will get one back and send some jitters around the Etihad. I can’t see this game setting the world alight and now that Villa are effectively safe from the drop there is actually very little riding on it. Norwich have had a fantastic season and deserve an enormous amount of praise as I am one of many who though their squad was way too lightweight for them to survive let alone find themselves in mid-table come the end of the season. On the other hand I thought that Villa would have done a lot better than they have this campaign but in fairness to their manager Alex McLeish they have had a rotten season on the injury’s front. This game could even prove to be a scoreless bore-draw. I think Bolton will push the home side all the way in this one as they try desperately to avoid the drop but I think their efforts will eventually prove to be futile. I am surprised to see them struggling so low in the table but they have got themselves stuck in a rut and now I think they will go down. For the sake of the fans and in fact the club as a whole I truly hope they don’t get relegated as they have had an awful lot to deal with this year given the stress and mental torment caused by the Fabrice Muamba’s heart-breaking (no pun intended) collapse against Spurs. 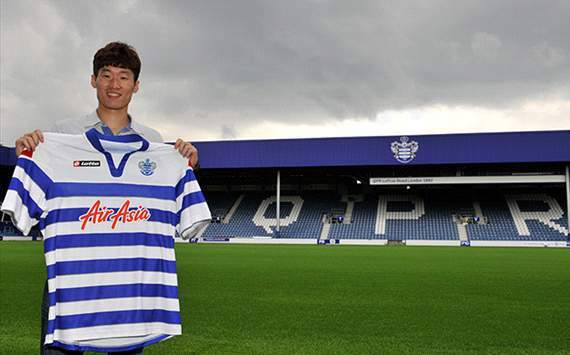 I also think that the loss of Stuart Holden and Lee Chung-Yong to injury has been fatal to their hopes of Premier League survival as they were both very impressive throughout last season. 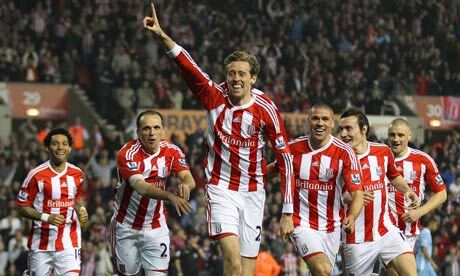 This game will give the likes of Peter Crouch the opportunity to prove that they are worth a place in England’s squad for the Euros and I expect to see his name on the scoresheet in a score-draw. United need to win to have any hope of leap-frogging rivals Manchester City on the final day of this year’s title race and I think they will get one against a Sunderland side who appear to be playing just for pride. Sunderland won’t simply bow down and they do have players that can harm United but I think the stakes are too high for Manchester United to fluff their lines so I can see it being a decent win for Sir Alex Ferguson’s men as they hope for a slip-up at the Etihad Stadium. Sir Alex will hope for a couple of early goals in order to try and send a message of intent and to try and send a wave of nervousness and tension back home to Manchester where the worries of the City fans could translate into impatience and panic on the field. Swansea have had an amazing season and their manager Brendan Rogers must surely have attracted the interest of some higher powers at some of the Premier League’s more established clubs. The way he has encouraged Swansea to play ‘real’ passing football and made it a successful match-winning strategy is truly admirable and I think he would make for a fantastic replacement to Arsene Wenger at Arsenal at some point in the future. Liverpool’s league campaign has been dreadful but their emphatic win over Chelsea in midweek will have instilled them with confidence and I expect them to win this game and finish one point ahead of rivals Everton in the race to be the highest placed club on Merseyside. Watch out for Andy Carroll in this one as he aims to continue his half decent form and push for a place in Roy Hodgson’s England squad. Tottenham have struggled over the past three months but have shown major signs of a revival in their past couple of games as their Champions League hopes have got back on track. They may now need Chelsea to miss out in the Champions League final against Bayern Munich but that is certainly better than not having any hope at all which would be the case if they dropped out of the top four. Fulham have done very well to have a chance of reaching what could yet be a record points tally for them in the Premier League after a tough start to the season but I think they will lose out to Spurs who have a far greater prize to play for on the final day. If Bale and Lennon find their marauding best as they have done in the last couple of games then Spurs should win. However, I think the Baggies will lose out in a game which is of far greater importance to their opponents Arsenal who will be keen to finish third and avoid the uncertainty of potentially missing out on the Champions League if Chelsea were to beat Bayern in the Champions League final. Without the brilliance of Robin Van Persie I think Arsenal would have finished outside of the top five this season but I expect him to score yet again in this crucial final game of the season. If they do secure a Champions League place then it is vital they hold onto their captain as the prospect of him partnering new recruit Lukas Podolski up-front next season is pretty tasty. The visitors to the DW this weekend, Wolves, have endured a pretty torrid season and they might be glad to get this last game out of the way as they plan for life back in the Championship. 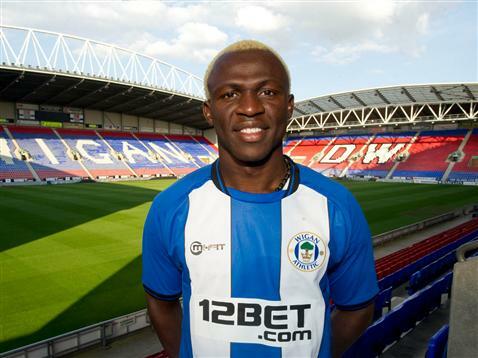 Their opponents on the final day, Wigan, might have feared that this weekend would also mark the day that they dropped back out of English football’s top flight given the precariousness of their league position a couple of months ago but manager Roberto Martinez has worked wonders. Neither side has too much to play for given Wigan’s guaranteed survival and Wolves’ certain departure from Premier League football but I expect Wigan to keep their staggering run of form going with a comfortable win. Martinez might actually want to use this game as something of a scouting mission as Wolves do have a couple of very decent players on their books such as Matt Jarvis and they could be within budget for Wigan over the summer as they try to build on their season of flirting with relegation. As the summer draws closer and the vast majority of Europe’s domestic leagues are winding up for the summer break and the transfer window that comes with it, rumours are rife about who could go where and why they might seek pastures new. It is the time of year when all sides who have either performed beyond their means or who have been outgrown by their leading lights fear the most as they head into the year’s most lengthy and protracted period of transfer-related vulnerability. We have already seen clear examples of what this summer’s transfer window may have to offer as the Bundesliga’s relegation threatened Cologne have lost their talismanic local hero Lukas Podolski to Arsenal for what appears a bit of a bargain. 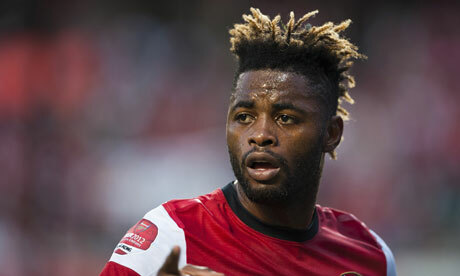 Arsenal have also moved to try and avoid last season’s mad rush for recruits on deadline day by attempting to secure a deal for Yann M’Vila who is also fast becoming too big a fish in the small pond that is Rennes. In addition to players like Podolski and M’Vila shining at their clubs and attracting attention from ‘Big-Time’ clubs from around Europe, there are also whole clubs around Europe who may pay the price for their success and they could be set to lose multiple players over the forthcoming summer. Benfica, having forced their way ahead of Porto in Portugal’s domestic pecking order for much of the Portugese league season and having entertained en-route to a place in the last eight of the Champions League are now surely set for a summer of fending off interest in their most-prized assets. Arguably the hottest property at the club is their versatile attacking midfielder Nicolas Gaitan who has attracted many potential suitors with his strong performances both in Portugal and in the Champions League. It is the creative talents of the 24 year-old Argentine which have earned himself a now regular slot in amongst Argentina’s rather special attacking contingent in the national squad and that have drawn interest from huge club’s like Manchester United who have been linked more closely with securing his services than any other side. 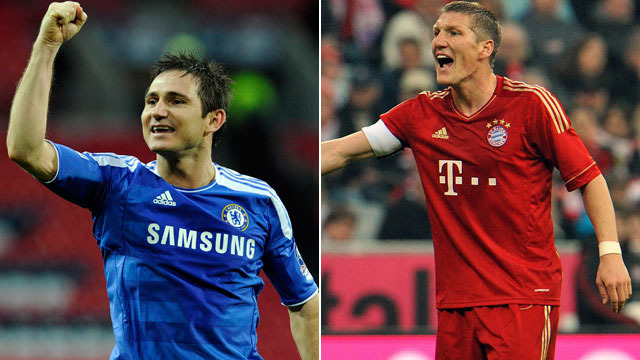 combative central midfielders. His consistently strong and disruptive performances amongst Benfica’s talented midfield impressed has I’m sure impressed many scouts at the top European clubs, and perhaps never more so than in Benfica’s Champions League group games which resulted in them outdoing both Manchester United and FC Basle. Benfica’s impressive displays this year may have gone some way towards re-building their reputation and improving their financial outlook but if they don’t manage to hold onto the likes of Gaitan and Witsel then it could well have cost them dear when it comes to the strength of their playing personnel. Another club who could come under the radar of many of Europe’s top clubs are Borussia Dortmund who have for the second season running overcome Bayern Munich in the Bundesliga title race. Already it is being said that Shinji Kagawa might have agreed a deal with Manchester United which would be a major loss for the German club and others may well follow him out of the door as Dortmund have failed to cash in on their domestic success with a strong return to European football. Centre-backs Neven Subotic and Mats Hummels have both impressed greatly over the past couple of seasons and have also become key players in their respective national set-ups and it would be absolutely no surprise if Europe’s major forces tried to recruit either one of them. The jewel in Dortmund’s crown though is Mario Gotze the diminutive, young attacking midfielder and he again is being linked with a move away having featured regularly in transfer talk throughout much of the past two years. If he were to part company with Dortmund it would perhaps be the greatest loss of them all as he is very much the golden boy at the German Champions and he is the very embodiment of all that has been positive about their re-emergence as a major force in German football. Another side likely to be the subject of a lot of transfer attention are Athletic Bilbao who have won many admirers during their European adventures this season. Though their Europa League campaign ultimately ended in major disappointment when they lost 3-0 to fellow Spanish side Athletico Madrid, many of their young and talented squad have caught the eye of on-looking scouts and as they are a side struggling to break into La Liga’s upper echelons and into real contention to secure Champions League football they will surely lose a hold of some of their stars this summer. The two most sought after members of their squad would appear to be versatile holding-midfielder and captain Javi Martinez and their star striker Fernando Llorente both of whom were a part of Spain’s world cup winning squad in 2010. Martinez, who has for a long time been linked with Real Madrid and Barcelona, has starred for Bilbao and has demonstrated great maturity in captaining a side who have impressed under his leadership in spite of his relatively tender age. Not often is one so young placed in such a position of responsibility at a football club but Martinez has led by example providing much of the thrust which has made his Bilbao side such a dynamic force this season. He may be reluctant to leave such a prominent and valued role at his boyhood club but he will also be aware that he must be playing Champions League football if he is to fulfil his ambitions of becoming a regular in Spain’s line-up. The same can also be said of Llorente who’s sublime volley against Manchester United in the Europa League will live long in the memory. If his talents aren’t also taken onto the next level, which is surely regular Champions League football, then perhaps he will miss out on the opportunity to stay ahead of the likes of Fernando Torres in Spain’s pecking order. It would be a surprise if Bilbao managed to hold on to both Martinez and Llorente in the wake of their hiccup in the final of the Europa League and their consequent failure to secure Champions League football for next season but perhaps they can be hopeful of holding onto another of their prodigious talents Iker Muniain who is maybe a step behind the likes of Martinez in terms of his development. The diminutive forward has provided great support for Llorente over the course of this season and though Bilbao have the means to hold onto him for now it might well be beyond their power if he decides that he is already primed for a first crack at Champions League football. There will certainly be no shortage of sides willing to look into the possibility of tempting him away from the San Mames if he does want out so expect rumour a plenty about where his future might lie this summer. A big factor in Bilbao’s attempts to hold onto their emerging stars could be whether they manage to hold onto their Coach Marcelo Bielsa who has a fine record since taking charge and could perhaps be on the hit list for many of Europe’s top clubs. The club’s directors will though be breathing a huge sigh of relief that Barcelona have turned to Tito Vilanova as Pep Guardiola’s successor as Bielsa was the name on everbody’s lips as soon as the job became seemingly up for grabs. If Bilbao’s agonising shortcoming in trying to secure Champions League football hasn’t already proved enough for their skipper and other key players, then surely the loss of Bielsa would put the final nail in the coffin in terms of sealing their respective decisions to part company with the Basque club. It is indeed sad for football that many emerging sides tend to lose the best of their playing crop every time they show any major signs of development and bridging the gap that lies between them and the more dominant clubs in Europe but that is the nature of the modern game. Money talks and so does the opportunity to play at a higher level on a more regular basis, so expect the likes of Benfica, Dortmund and Bilbao to pay for their success and have to fight valiantly in order to hold onto their most prized assets. As we all know too well, English football is deprived of creative attacking midfielders with superb craft and much sought after ‘end product’. One particular area of the world though is thriving in this department and you may not be surprised to hear that this is Spain. Think Xavi, Iniesta, Cesc Fabregas, David Silva, Juan Mata, Thiago Alcantara, Sergio Canales and Javi Martinez and on the basis of the weekend’s performance Mikel Arteta and you arguably have a list of 8 or 9 experienced and/or enormously talented individuals capable of unlocking defensive doors, playing the killer pass and even getting themselves in the mix for plenty of goalscoring opportunities themselves. In England on the other hand we are really limited in this crucial area. Gerrard and Lampard still have their moments but it would be hard to deny that they are past their best, Paul Scholes is re-emerging since his brief retirement period as arguably England’s best ball-playing midfielder but he too his way beyond the wrong the side of 30 and beyond this I’m struggling to think of any match-winning playmakers that we have at our disposal. Jack Wilshere is probably England’s up and coming force in this role but he has already been on the receiving end of a string of injury concerns and may miss out on the Euros this summer and even putting such issues aside is he really better than the likes of Thiago, Canales, Mata and Martinez the emergent midfield forces in and around the Spanish squad? I personally don’t think so. The other hope for England in this sort of role is Alex Oxlade-Chamberlain but it is very unclear just where he will end up being best utilised in the future for club and country as he is very much in the developmental and fledgling stage of his career at present. The lack of current and emerging options in this pivotal attacking role is alarming and perhaps why the major English forces in the Premier League have turned to Spain to find their diminutive playmakers. Manchester City have David Silva operating ‘in the hole’ behind the forwards as their most trusted playmaker, Chelsea have Juan Mata fulfilling much the same role in their line-up and Vicente Del Bosque must be licking his lips when thinking about how two of his dead-certs for the Euros have plied their trade in the Premier League this season. At times, both Spanish attacking central midfield players have been the driving forces behind their team’s runs of form and when they have been at their best they have been almost impossible to handle. Silva may have looked a little ‘burnt out’ in the latter stages of this season, which of course will be of concern to the Spanish management as well as Manchester City’s but perhaps this is just a knock-on effect of his fellow team-mates’ slumps in form? Even if it is just a personal form issue, one good thing for Spain to come out of Silva’s stuggles to light up the Premier League in the second half of the season is that City have been lost without him, which suggests that he is a hugely influential and instrumental player when he is at his best. This theory might be for those of a sunnier, glass-half-full disposition but it is a theory that I’m sticking too. 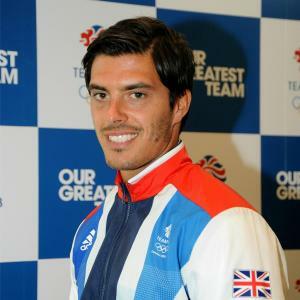 I think that as soon as Silva is re-united with his international team-mates before the Euros that he will feel refreshed and will have a new lease of life not often seen in City’s recent struggles. 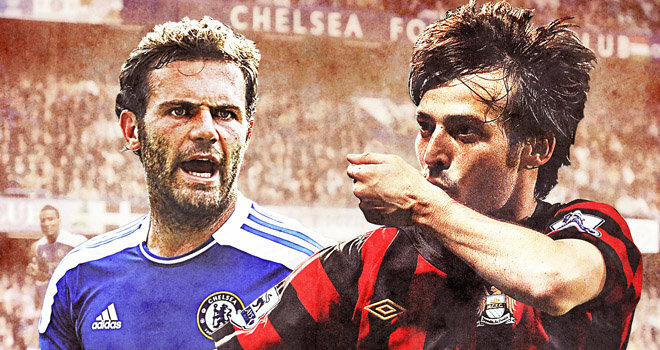 While City have struggled in the absence of Silva’s best form, Chelsea have begun to flourish as a result of Mata’s rise to prominence. Perhaps it is the way that Mata was being deployed by Andre Vilas-Boas that was slightly inhibiting the Spaniard’s form in his first few months at the Bridge or perhaps it is just a case of him taking a while to settle in but one thing is for sure and that is that Mata has now begun to express himself as we know he can and that Chelsea are reaping huge benefits as a result. Mata has far outdone David Silva’s efforts of late and it is little coincidence that their two sides have had coinciding contrasting fortunes, so much so that Chelsea could yet be contesting a Champions League and an FA Cup final whereas Manchester City now look like ending the season trophy-less and dejected. One might even go as far as to argue that Mata’s recent efforts mean that he deserves to jump Silva in the queue to be part of Spain’s starting play-making unit at the Euros. Whether this will be the case or not though, it is clear that Spain’s finest ball-players are a step ahead of England’s at present and that they have an embarrassment of riches in this role which could well drive them to a third consecutive major tournament win this summer. One interesting point which I will make though is that England have no one closer to such talents and such attacking influence than Paul Scholes and that his contributions since returning to United this season mean that whoever takes the England to the Euros this summer simply must try again to persuade him out of retirement. If Scholes isn’t a part of the England squad then do we really have anybody who can compete with Xavi, Alonso, Iniesta, Fabregas, Silva and Mata not to mention a couple of other huge talents? 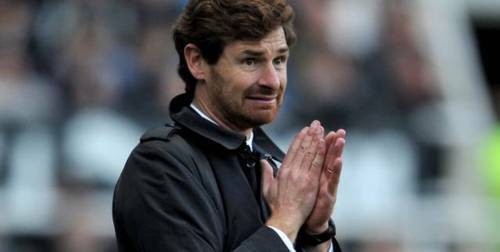 Who will step into the AVB shaped hole at Chelsea? After a tumultuous few months of charge Andre Vilas-Boas has run out of time and Roman Abramovic has once again wielded his managerial axe. Yet another league defeat has left Chelsea sitting uncomfortably in fifth place and after Arsenal’s near-miraculous ‘smash and grab’ win over Liverpool they are fast losing ground on those competing with them to secure Champions League qualification. Now that the pressure of poor results has finally told on Andre Vilas-Boas the focus turns to who Roman Abramovic deems worthy of stepping into the breach on a permanent basis. In the wake of AVB’s tricky tenure at the club it seems likely that he will turn his attentions towards more experienced and more high profile candidates in a move to appease the sections of the Chelsea support that hold him firmly responsible for the stuttering period of time that the club has endured since Abramovic opted for Vilas-Boas’ rather wildcard appointment last summer. Some of the names being touted by the press and the many varied betting companies include Jose Mourinho, Rafael Benitez, Fabio Capello, Pep Guardiola and then some far less glamorous and high profile candidates such as Brendan Rogers and David Moyes who wouldn’t exactly fit the mould of a classical Abramovic appointment but that isn’t to say they wouldn’t do a fantastic job. Below I have taken a closer look at the favourites to land the job and have analysed key factors such as their availability and their suitability to the role. 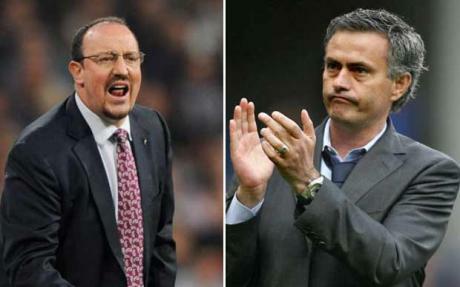 Benitez is arguably the strongest contender of those being most closely linked with the job. He has a great wealth of managerial experience both in England and abroad, he has a Champions League win under his belt (something of great appeal to Mr.Abramovic) and as a result of his experience and successes he would certainly come with the sort of reputation that a certain Russian oligarch tends to take a liking to. Availability Rating: 9/10 He is currently not managing and has barely done so since parting company with Liverpool in acrimonious fashion back in 2010. Only a very brief stint at Inter Milan has served to fill part of this absence from regular management and you would imagine that an offer from a big club like Chelsea would be very hard to turn down. Suitability: 9/10 In spite of a a shaky time at Inter, Benitez has been a very impressive and successful club manager and with his CV boasting a Champions League victory he appears to be an ideal fit. Chelsea are undoubtedly in a spot of bother at the moment, but one would imagine that Benitez is media savvy enough to handle the tough times having spent several years in front of the media’s gaze at Liverpool in what was a tricky period off the field for the club. As is always the case when a big English club needs a new manager, Jose Mourinho is being linked with the role. I myself can’t see it happening given his past with the club and with the owner in particular but stranger things have happened and I would stop short of completely ruling out the possibility of the ‘Special One’ making a return to his beloved Chelsea. Availability Rating: 7/10 It is hard to see Jose leaving Real Madrid when he is on the verge of securing a first La Liga title since joining the club but he has often shown signs of major frustration in his time in the Spanish capital. If he were to leave Madrid it would surely not be until the summer but perhaps the act of breaking Barcelona’s stay of power at the top of the Spanish footballing charts would be the perfect way for him to bow out. Suitability Rating: 6/10 There is no doubt that the Chelsea fans would love him to return to the club and there is no doubting how brilliant a job he did for the Blues but a move back to the club while Roman Abramovic is still calling the shots might just provide the impassable stumbling block. He left the club on poor terms with the powers that be and one would think his pride and tremendous ego would convince him not to re-trace his managerial footsteps under the current conditions at Chelsea. The man charged with taking care of the club on an interim basis has a great history with Chelsea after a successful period as a player for the club and he is certainly a popular man amongst the Chelsea faithful. Having said that though it would be hard to see Abramovic backing another very young manager in the wake of AVB’s tough few months at the helm. If things go well during his stint in charge of the team though then who knows if he can force his way into the reckoning? Availability Rating: 10/10 Already at the club formerly as a player and as Vilas-Boas’ assistant and now as the caretaker boss, he would surely love the chance to take on the job on a full-time basis. Suitability Rating: 6/10 His place in the Chelsea fan’s hearts puts him right up there and he is the man in possession in a way but it really does seem farfetched that Abramovic would consider another young and fairly inexperienced option. Guardiola fits the bill but is he remotely available and could he really be tempted? He may be young but boy has he been successful. I guess you could have said that about Andre-Vilas Boas but he hadn’t quite produced the football or the scale of success that Guardiola has since taking charge at Barcelona. There have been plenty of murmurings about Guardiola’s future at Barca given their recent ‘struggles’ in their pursuit of Real Madrid in La Liga but he is a proud young manager and he might find it too hard to leave the club on a bad note. 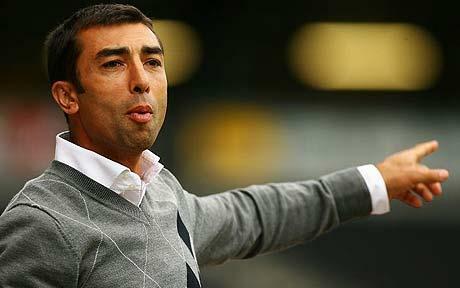 He has built a dynasty at Barca and perhaps Chelsea could provide the ideal platform for his second managerial project? Availability Rating: 5/10 There is a chance he may leave Barca at the end of the season whether they bag themselves a major trophy such as the Champions League or not but I would be surprised if he actively decided to leave the club for a team who are currently a world away from the successes that he has enjoyed over the past few years. Suitability Rating: 9/10 He has a great pedigree for a young manager and his youth and inexperience is hardly comparable to that of AVB seeing as he has already managed a super-power of world football for several seasons and that he has taken them to Champions League glory. He now comes with great form and a reputation for building a successful dynasty at a club with great building blocks in place and this makes him an ideal candidate for the job if there was any way of convincing him to give up sunny Spain for the Royal Borough of Chelsea. 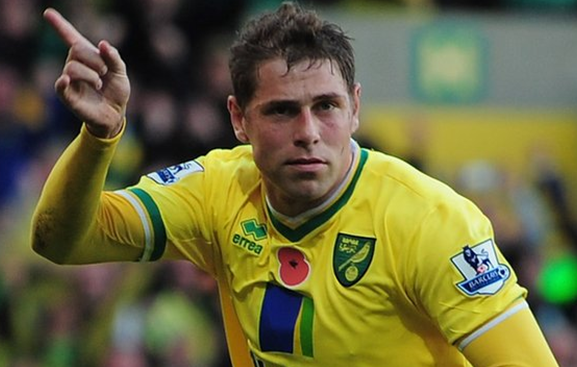 Would the 'Iron Sergeant' fancy his chances of proving himself in English football? 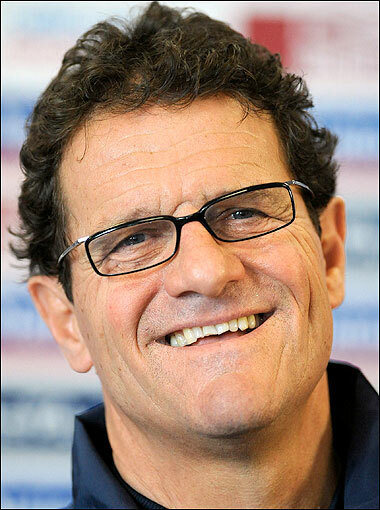 entirely tempting for Capello. He was subject to some fairly intense media pressure in his time in charge of the national side and this alone might put him off setting up base in London again. Having said that, Capello has an absolutely fantastic reputation when it comes to club management and he would come with the right sort of experience and profile for someone of Abramovic’s particular tastes. 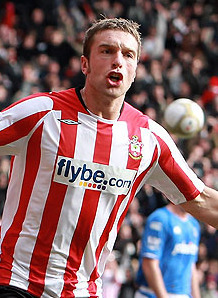 Could Fabio honestly face such swift return to the English capital? Availability Rating: 8/10 He is unattached having recently walked out on the national side but Capello might just fancy a little period out of the game before taking on one last big challenge in his managerial career. 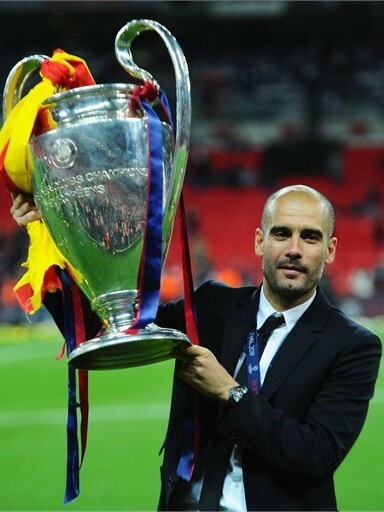 Suitability Rating: 7/10 He is a proven top-class club manager and he has won the Champions League with Milan just as previous Chelsea manager Carlo Ancelotti had done and in truth he would make for a very similar appointment. It is only his strained relationship with the English media and his reputation for being such a stern and defiant man that defies his suitability to the role. If Abramovic is looking for a down to earth manager with a great wealth of English managing experience then he should look no further. Moyes has done a terrific job in his many years at Everton and has proven the value of sticking with a manager for a long period of time something which isn’t exactly typical of an Abramovic appointment. Could Roman be ready to change his ways though? He wouldn’t be a type-cast new manager for Chelsea but could he be the right option? I personally think that Moyes could do a very good job at any English club given his Premier League experience and the stellar job he has done on a very limited budget in his time at Goodison Park. Availability Rating: 7/10 He is fairly happy at Everton in spite of the limited financial support he has received in his time at the club, but he could be tempted by a big challenge like Chelsea and Everton would be fairly powerless to stand in his way given the tremendous service he has given to the club over a long period of time. Suitability Rating: 7/10 I don’t doubt Moyes’ ability to manage Chelsea on a week-to-week basis in the Premier League but he has little to no experience of Europe’s premiere competition, the Champions League. This may not effect his performance in the role if he were given the opportunity but such uncertainty may effect Abramovic’s judgement when it comes to deciding upon AVB’s successor. I think Moyes could be brilliant for Chelsea but I just can’t see him tickling Roman’s fancy. He may have finally apologised for his pitiful behaviour over the past few months, but the sulkiest Argentine in Manchester has left it far too late for me. Carlos Tevez, one of the most outstanding footballers in world football and a spoilt brat to boot, has behaved so apallingly for one so privileged throughout this season (one which he has contributed next to nothing to on the pitch) and he has been a figure-head of controversy ever since arriving on British shores. His initial stint at West Ham came under intense scrutiny for the manner of the deal that brought him to England, but his stunning end of season form was enough to pretty much single-handedly keep the hammers in the Premier League. For that, much of the British public (West Ham haters aside) really took to him. He then went on to play a big part in his first season at Manchester United where his on-field industry and talent made him an immediate hit with the fans. Since then though, Tevez’s likability has plummeted. A second season with United became dominated by contractual disputes and stewing on the sidelines before he eventually opted to cash in on a lucrative move to United’s fierce rivals, Manchester City. At City he has enjoyed great personal and team success when motivated but unfortunately he has done a good job also of maintaining a firmly irritating persona off the field. His persistent cries of home-sickness and of dislike of the City of Manchester drew little sympathy given his £200,000-a-week pay-packet and this miserable nonsense continued into the summer of 2011 where he was subject to much transfer speculation. Unfortunately though for Tevez his efforts to find a way out of Manchester failed tand he was left to stew in the City he presumably reckons is ‘hell on earth’. After failing to find a buyer, the ever-charming Mr.Tevez then sunk to his lowest professional ebb as he forgot that he was being paid a ridiculous amount of money to play football, as he refused to warm-up and enter the field of play when his team were in need of his services on a big European night. All in all, Tevez is a gloriously talented footballer but perhaps more apparently, he is a pretty immature and dislikable chap when not on a football field. His antics in Munich are in serious danger of becoming the defining moment of his career and though he may finally have eaten some humble pie I think he has left an indelible, negative-stain on English football. Carlos, my dear friend, you are a magnificent footballer but I suggest you bog-off to back to Argentina pronto so we don’t have to stomach any more of your tripe. Rant over. With England’s reputation as the strongest side in Test Match cricket left looking rather debatable and even worthy of a little ridicule in the wake of their white-wash series defeat against Pakistan, it was down to our reliably unreliable ODI squad to restore some pride. Thankfully they did just that and the big names came into their own. Having both restored their reputation’s as truly world class Test batsmen through their outstanding performances in 2011, Alistair Cook and Kevin Pietersen both suffered enormous reality checks in the embarrassing recent Test Series defeat against a rejuvenated Pakistan side. Both men struggled to find any sort of form with the bat in the Tests but teamed up beautifully at the top of England’s batting order in the white-wash ODI series win over the same opponents which was sealed yesterday with a fourth consecutive victory. Both men scored two match-winning hundred’s each and Cook too scored an important 80 to accompany Pietersen’s first century of the series in the third ODI. 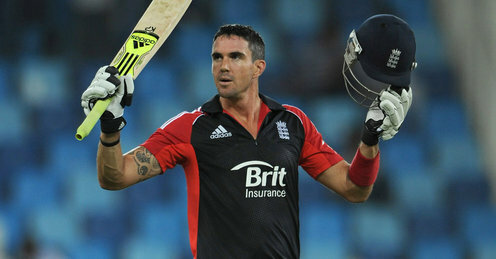 These knocks marked very timely returns to form amidst press and public murmurings about the security of both of their roles in the England setup, as Pietersen’s all round form was under scrutiny and Cook’s one-day captaincy was still under intense observation given his relative lack of experience and form in the format. Both of England’s match-winning batsmen were beautifully supported by their bowlers en-route to a satisfying series win and it was the prodigiously talented Steven Finn who really impressed with the ball in hand. The young Middlesex pace-man has worked tirelessly to add greater pace, threat and sharpness to his bowling since losing his regular place in England’s Test line-up during the Ashes last year and the work is certainly reaping it’s rewards. His form this series has provided a great reminder of his talents and has shown a real willingness to try and impress when given the opportunity to do so and as such he may have earned him self a re-call to the Test XI as well as securing a position in the One-Day team. I hardly profess to be a cycling enthusiast but what better time to start getting into it than just a few months before the Olympics in London. This week’s cycling World Cup (and Olympic Velodrome test event) provided early signs of some major success that could be set to come our way this summer. 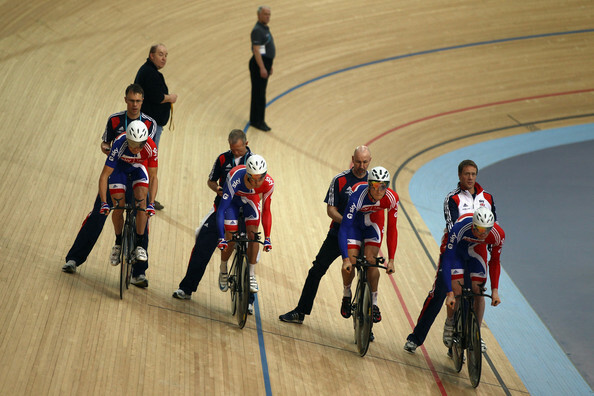 With the likes of Chris Hoy and Victoria Pendleton back in form and amongst the medals at the test event it seems that cycling will once again be a major strength for us at ‘The Games’. We need all the success we can get this summer and the cycling World Cup has helped our charges gain some vital momentum in the build-up to their respective battles for personal and team success this summer. Success breeds success, so let the winning feeling continue. I’ll start by saying that I think the BBBC should revoke Chisora’s license and should decline any potential future attempts from David Haye to renew his should he decide that he wants to come out of retirement. To coin a famous phrase ‘there are two sides to every story’, and sadly for British boxing and the entire British sporting community both sides to this story are utterly pathetic and humiliating. I was once a real fan of Haye’s but his persistent attempts to gain self-glorification were already wearing thin before this mess and now his actions in Munich have well and truly consigned him to the waste bin of my sport-filled brain. 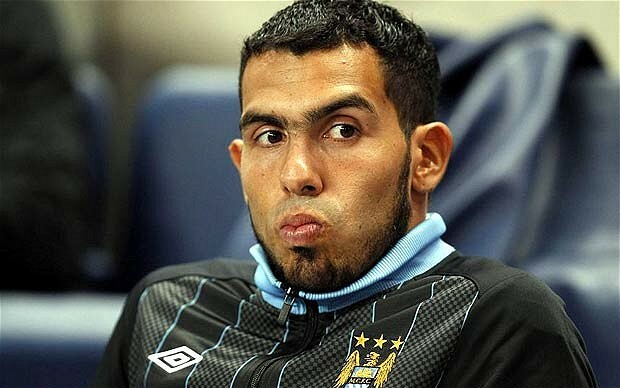 If you have read your way through my ramblings today then you may well be aware that Carlos Tevez resides their too. Even worse though and even more irrelevant in my eyes is Dereck Chisora who has made a total backside of himself this past week. After a stuttering start to his career Chisora should have been wholly grateful for his opportunity to fight Vitali Klitschko for his World title but instead he opted to act like a complete yob. His pre-fight slap was bad enough, as was his apparent efforts to spit a mouthful of water at Klitschko’s younger brother Wladimir (how moronic can you get? ), but apparently he could better himself in the idiocy stakes. 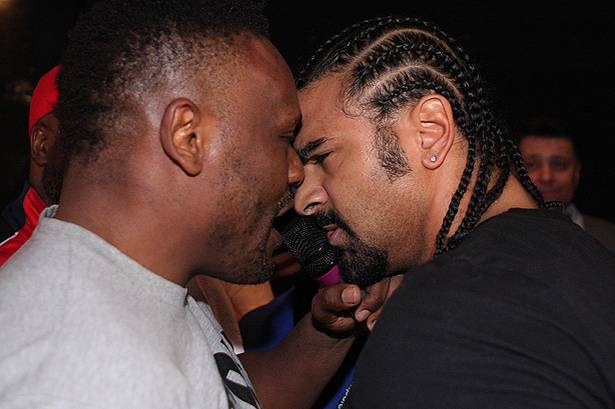 Though I believe Haye was once again exceptionally stupid and irritating throughout his contributions to the piece in Munich, Chisora, for me, has managed to come out of the event in an even worse light due to his disgusting threats and his inability to stay out of a row that should hardly have been a concern to him. 5 games without a win is a considerable drought for Chelsea’s manager given their modern era of success but I hope Chelsea don’t get rid of Andre Vilas-Boas. I for one think he was foolish to leave Ashley Cole, Michael Essien and Frank Lampard out of his starting line-up against Napoli yesterday evening but those decisions aside, he is smart, talented, interesting and incredibly eloquent. He is a breath of fresh air amongst some of the more placid and forgettable managers in the English game and I believe that in the long run that he could be a very good fit for Chelsea. Things might not be working at all well at the moment for AVB but if Chelsea decide to back their man then they may well be rewarded strongly in the long run. 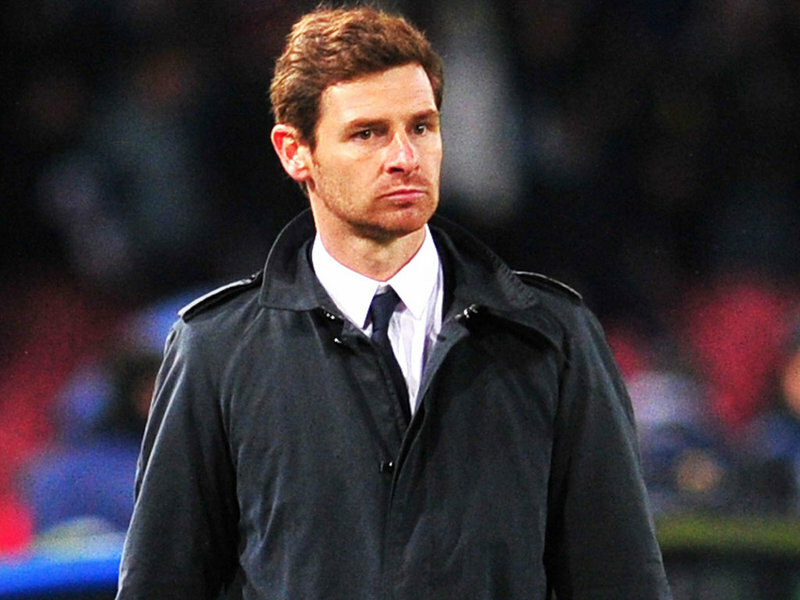 Hopefully we will get to see the best of AVB in the near future and hopefully it will be enough to keep him in his job. Sadly though for Vilas-Boas, it appears that those involved with the club aren’t far away from a ‘final straw’ mindset… I wish him good luck, he might well need it! Having managed to finally catch up with their local rivals in the race for the Premier League title, Manchester United yesterday committed the cardinal sin of throwing away cheap points at home. The fact that their opponents Blackburn Rovers were best priced at around 28/1 to win the game says it all really, and there is no doubt that the now 70 year-old Sir Alex Ferguson will be fuming at his sides miserable display. One very minor consolation for Sir Alex and the United fans will be that their former main title challengers Chelsea also fell to a miserable home defeat to end 2011. The performances of both sides were equally disappointing and given their superiority over the past few seasons it was alarming to see their major weaknesses laid bare. If they weren’t already intending to spend this month then these performances were indicative of a dire need for both sides to do so. Chelsea it seemed were always likely to go shopping this January due to various planned departures and an ongoing battle for consistency, but Manchester United’s need for signings was being made less obvious by some very encouraging recent performances. Back-to-back 5-0 wins and a run of 8 wins in 9 league games had seemingly quelled the need for drastic transfer movements this month, but their ongoing injury crisis was for the first time yesterday truly exposed. Michael Carrick looked uncertain at centre back, their scraped together centre midfield partnership of Park and Rafael looked horribly lacking in every department, and David De Gea’s woes continued in goal. Couple these shortcomings with the recent dip from stand-in captain Patrice Evra and one of Nani’s notorious off-days and it is clear to see why United succumbed to defeat. Put simply; they were there for the taking and Blackburn knew it. Chelsea’s performance was similarly shoddy and highlighted some fairly comparable shortcomings to United. They too were looking disorganised at the back, weak and creatively lacking in midfield and short of goals and confidence in attack. Admittedly the performances of United and Chelsea yesterday were uncharacteristic, but the worry for Chelsea in particular will be the increasing frequency of such flat displays. For United, this showing will rank fairly closely up there with their humiliating 6-1 thumping at home to City, but it was only their second defeat of the season so it is hardly panic stations just yet. Nevertheless, they are looking uncharacteristically lacking in depth at the moment and they might just need a couple more high-class performers if they are to keep up with the blue side of Manchester over the remainder of this season. Below is my breakdown of potential signings and departures for both clubs this transfer window and how it could affect the look of their line-ups.